Should I Buy or Build Intranet Software? For many companies, organizational challenges are all too common. This is especially true for companies that are not only growing in size, but also with remote employees that can't make it into a physical office on a regular basis. There are many tools available to make all of this easier, a major one being intranet software. So, what is an intranet? In the simplest terms, an intranet is a centralized "virtual office" where you and your colleagues can meet, exchange ideas/documents, and collaborate on projects. It's something that could never have existed decades ago, but now modern technology has made it easy to incorporate an intranet into your company. With a quality intranet platform, you can streamline your business processes to a dramatic extent. One of the most common questions of those in the market for intranet software is whether they should build their own or buy from a reputable software company. Since an intranet is an investment, it should come as no surprise that business owners often find themselves at a crossroads when they reach this stage of the game. Before even getting into the pros and cons of each option, it's important to determine how your business is aligned in terms of buying vs. building. If you're considering building an intranet, there are many things to consider. First, you're going to need an in-house IT department that can not only get your intranet off the ground, but also perform regular maintenance, fix potential bugs, and help the intranet grow with your business. Since building an intranet can be time-consuming and rather difficult, you'll want to ensure you're not up against time constraints that could have a negative effect on your business. After all, there's nothing worse than putting a project on hold because your intranet isn't working properly. Those who build intarnets sometimes find they need to consult with outside professionals for help. This can get expensive, so you'll want to take your budget into consideration to make sure you have enough capital to afford consultants. Finally, building an intranet requires you to maintain and grow a custom code base, ensuring nothing remains stagnant and outdated. You'll need to have the right resources at your disposal to make this happen. As you can likely tell, building an intranet is a far more complicated approach than having one built for you. If the above requirements seem out of reach, you may be more "buy-centric" than "build-centric." There are many factors that might make your company a candidate for buying an intranet rather than building one. If you need a quick intranet launch and with minimal interruptions, buying is almost always a better option than building. 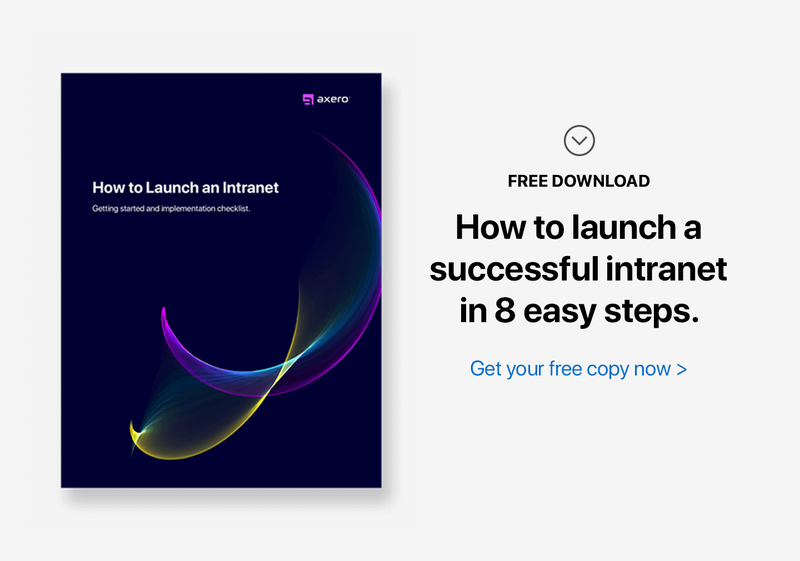 Intranet software vendors spend every day working to streamline their deployment strategies, ensuring the smallest amount of intranet launch problems. Having an intranet built for you also means you can delegate tasks to non-technical users in your organization without having to show them the ropes. This is a big time saver ... as well as the only option for some businesses. As your company grows, so must your intranet. If you're looking for a software company to handle your intranet's growth and change instead of modifying code yourself, you'll definitely benefit from buying rather than building. Those with budget constraints may also find buying to be a better option, as building an intranet has a lot of hidden costs that can perpetuate for years. If you're still having a hard time making a decision whether to buy or build an intranet, you'll want to consider the pros and cons of each option. Every organization is different, and weighing your options can be the best way to ensure you're happy with your final decision. There are a few benefits that come with building an intranet. Some of them may be attractive to you depending on your type of business. You Can Choose Exactly What Features You Want – One of the best reasons to build an intranet is the ability to choose exactly which features you want. Some "one-size-fits-all" intranets give you features you want along with a host of others you do not want. When you build your own intranet, you don't have to worry about this. Complete Control Over Navigation – Navigation can make or break how easy it is for your company to use an intranet. When you build your own, you can typically create a custom intranet navigation method, tailoring it to your needs as you see fit. Proprietary Personalization – One of the major benefits of building an intranet is that it becomes proprietary, meaning that no other company is using the same system. This isn't necessarily "better" than working with an already established platform, but some business owners get a lot of pride out of this. Building may have a few benefits, but that doesn't mean it's anywhere near perfect. The following are some of the cons associated with building an intranet, all of which can make for a frustrating experience. Long Development Time – Developing an intranet is not something that can happen overnight. More often than not, it takes a lot of time and energy. This translates to extra money in most cases. Expect at least a year or more before your self-built intranet is running smoothly and without issues ... even if you have qualified IT professionals on staff. 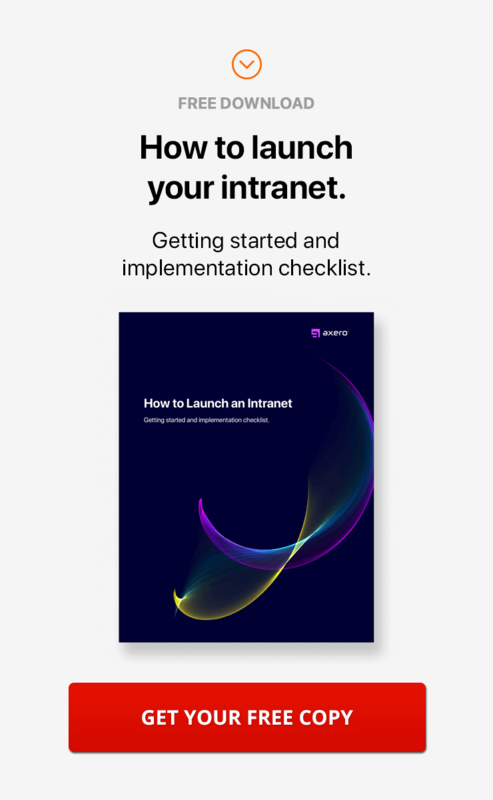 Keep in mind that launching an intranet can be time-consuming as well, especially if you encounter problems during the process. For many business owners, this type of time-frame is unacceptable. Heavy Dependence on IT Department – Chances are you have a strong IT department if you're considering to build an ntranet. Even if this is the case, you'll have to rely on them heavily not only throughout the development process, but ongoing as well. If there are any problems that they can't fix for whatever reason, you'll end up paying for IT consulting ... which can become exorbitant in price over time. This is especially true if your IT team lacks design/usability experience, which can heavily impact whether or not they're able to complete the job. Considering that IT departments often have very little interest in using an intranet (it usually pertains to the rest of your organization), they may even push the priority to the back-burner. Continued Costs – You may think you can avoid ongoing costs by building an intranet, but this is almost never the case. Instead, you can expect to pay continued costs once your intranet has been deployed to cover development, bug fixes, and maintenance. Costs can really add up when you need to outsource or hire a consultant. This is something many business owners don't take into consideration when deciding whether to buy or build. Difficulty Adding New Features – To get the most out of your intranet, you'll need the ability to add new features regularly. Doing this on your own can be quite difficult, and it often involves a complete redesign of your intranet. As you might expect, costs to add a simple feature can be outstanding. After considering the problems of building an intranet, it's not uncommon to feel intimidated by the whole process. Buying, on the other hand, causes most (if not all) of these issues to fade away. Here are just a few benefits of buying to keep in mind as you make your decision. Fast Deployment – Developing and deploying your own intranet can take months upon months of time and energy. When you buy intranet software, you can expect deployment to be exceptionally fast, as well as error-free for the most part. For companies that need to get their intranet up and running as quickly as possible, there's no question that buying is the preferred option. Less IT Involvement – When you build an intranet, you can expect your IT department to be consumed with this process for a long time. This not only creates headaches among those building the intranet (it can affect employee moral, too), but takes them away from other important projects. When you buy intranet software, your IT department will be free to handle other aspects of their job, which also translates to less monotony on a daily basis. Friendly, Simple User Interface – Building an intranet with a user interface that is easy to navigate requires skill. More often than not, a self-built intranet is less aesthetically pleasing than users would prefer, which can have a negative impact on productivity. Buying intranet software ensures you're getting a user interface that is not only easy to work off of, but easy on the eyes as well. It allows for quick, simple content creation, too. Extensive Customer Support – Even when you buy intranet software, there's always a chance you're going to run into problems. Customer support, is a key aspect of the scenario and should never be overlooked. Most companies that sell intranet software offer extensive customer support along with the purchase. This means your questions are only a phone call or email away from being answered. When you build your own intranet, this luxury goes out the window. Special Skills Not Necessary – Managing a self-built intranet platform may require special skills that many business owners (and even many IT workers) simply don't have. When you buy an intranet from a reputable software company, you don't have to worry about knowing the technical ins and outs about how to use it. The rule of thumb when using purchased intranet software is this – if you can manage a Facebook page, you can manage your intranet. 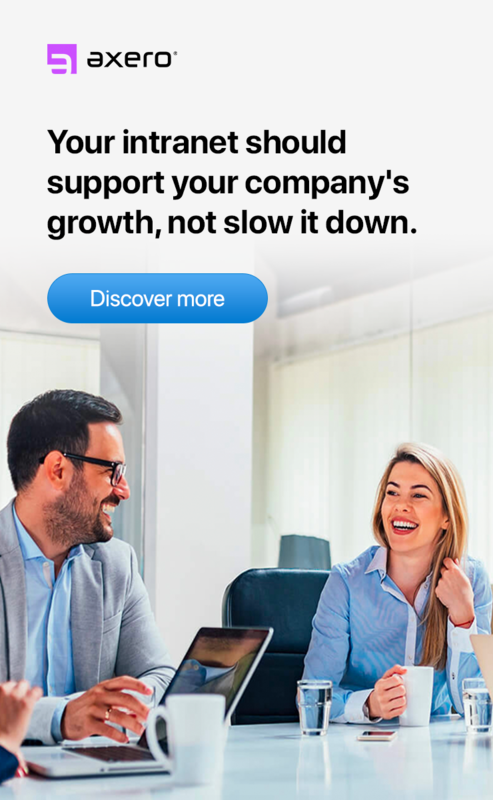 Evolution/Growth Support – As stated earlier, your business needs an intranet that will grow with it. When you buy, you won't have to worry about re-designing just to add a few simple features or make a couple changes. In fact, your intranet vendor from will usually perform any and all adjustments for you. This means you can devote your time to other, more important aspects of your business. It's difficult to come up with a long list of cons associated with buying intranet software, as it's usually the preferred route to take for most businesses. Still, not all intranet software is created equal, and some may not be ideal for what you want. While the following issues are usually only associated with certain software options, it's important to know about and be aware of them. "One Size Fits All" Limitations – There are many intranet vendors that sell "one size fits all" software, which can seem appealing at first ... mainly due to the fact that they appear simple to use. When you take this route, however, you're limiting your business dramatically in terms of customization and growth. This type of software usually can't be tailored specifically to the needs of your business, which means you can't add/subtract features and streamline your intranet the way you'd like. The simple solution to this issue is to stay clear of generic intranet solutions altogether, as there are plenty of flexible intranet software options out there. Possible Integration Issues – When using an intranet, it's best to to integrate all of your business's processes so that everything is in one central location – think marketing, sales, etc. Some "out of the box" intranet solutions make this difficult, which can lead to frustration and interruptions regarding productivity. The same can be said for building an intranet, which can make integration of important business processes even more difficult. 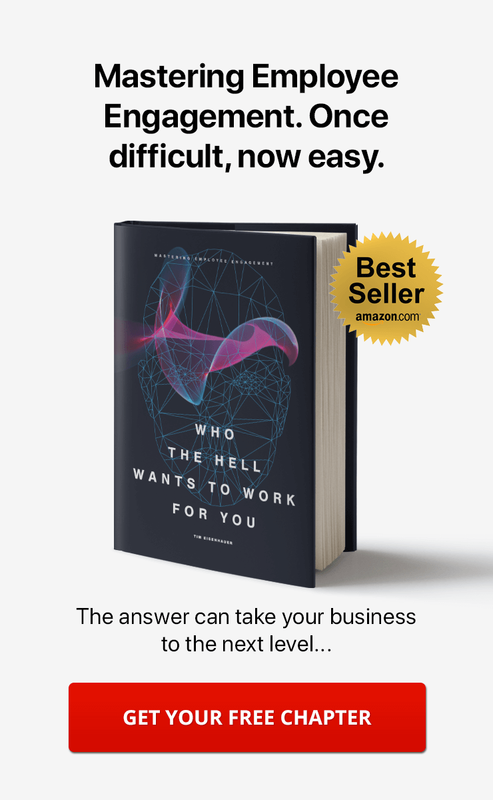 It should be quite clear that buying is almost always a superior option to building an intranet, especially for companies that employ people who aren't technically inclined. Knowing what to look for when buying intranet software is of the utmost importance. Here are some aspects of intranet software to look for before settling on a purchase. No Hidden Fees – Money is a major concern for companies looking to integrate an intranet platform. No one wants to spend more than is necessary, yet it's common for many intranet software vendors to add fees that aren't well-defined right off the bat. Hidden fees can add up quite quickly, which is why you need to ask the software company about what you'll pay down the road . Implementation charges and on-going maintenance, for example, aren't always part of the quote. Look for a company that offers a great deal of transparency, as otherwise, you might end up spending far more than you expected. Basic Features – You'll want an intranet that comes with the basic features that make purchasing one worth while. A well-designed intranet allows users to share information and documents, create wikis/blog posts, communicate via chat and messaging, build virtual workspaces and more. It is a virtual office where employees can convene on a daily basis without leaving the comfort of their own workspace. If any option lacks the intranet features you need, there's a good chance you'll have problems down the road. Learn as much as you can about what makes for a strong platform, and don't settle for anything but the best. Strong Customer Support – This is one aspect of buying an intranet that can get lost in the mix, yet it's among the most important to look for. Strong customer support ensures that any issues are remedied as quickly as possible, and it's more than simply knowing that the software company is adept at what they do. You'll want to buy intranet software from a company that prides itself on offering the best customer support possible, which means having people on staff to answer questions at all times. Flexibility - If there's one thing to gain from the conversation of whether to buy or build an intranet, it's that there's nothing more important than a flexible intranet platform. When you have intranet software that can be tweaked and customized to meet your company's needs, you'll have little to worry about in terms of streamlining your daily work-flow. This is just another reason to avoid purchasing a "one size fits all" intranet solution, as they tend to lock you into what you've purchased and don't give many options of flexibility. The decision to buy or build an intranet can be a tough one at first, but once you see the benefits of buying, it comes clear that doing so will result in the least amount of headaches possible. Know what you're looking for, ask for it, and don't settle on anything less than what will properly suit your needs. It might take you a while to find the right intranet software, but once you do, you'll be glad you took the time.